*#1 CC cream in the US based on NPD units for 12 months: 3/2017-3/2018. Your Skin But Better CC+ Cream Oil-Free Matte with SPF 40 is rated 4.3 out of 5 by 503. Developed with plastic surgeons, Your Skin But Better CC+ Cream Oil-Free Matte with SPF 40 delivers color-correcting full coverage, anti-aging skincare and SPF 40 broad-spectrum physical sunscreen—all with a poreless, natural-looking matte finish that lasts! This multitasking, complexion-perfecting breakthrough instantly camouflages skin imperfections including dark spots without creasing or cracking and is clinically tested to reduce shine and control oil for up to 12 hours. It's also infused with charcoal to detoxify, colloidal clay to absorb oil and tea tree extract to combat blemishes—plus, an advanced anti-aging serum made of hydrolyzed collagen, peptides, niacin, hyaluronic acid, vitamins and antioxidants. You'll see powerful results instantly and more dramatic results over time! Apply 1-2 pumps to clean skin using your favorite IT Cosmetics brush or fingertips. Can be used as your moisturizer, anti-aging serum, concealer, foundation, and sunscreen, based on your coverage needs. For best results, apply a smooth, even layer to your face, neck, and décolleté. A little goes a long way! For your most natural-looking coverage, buff onto your skin using your Heavenly Skin CC+ Skin-Perfecting Brush #702, starting at the center of your face and blending outward. Clinically tested sweat and humidity resistant! Rated 5 out of 5 by MarleyGirl from CC+Cream Oil Free Matt with SPF 40 I have very oily skin. I use to say I could start an oil refinery with the oil in my skin. It's hard to find a foundation that stays looking great and doesn't change color. I've been using this foundation for almost a month and I truly enjoy wearing my make up. It feels light on my skin, has great coverage and doesn't change color. I'm thrilled "It" came out with this oil free foundation. Rated 5 out of 5 by TN Farm Girl from Fabulous! This is the best foundation I have ever used in my 64 year old life! It goes on beautifully, stays on all day, and never gets muddy looking or shiny. I am in love with this product, it is just amazing. I’ve used countless foundation products, and this is my absolute favorite, I’ve never had any look so natural and flawless, this one hands down beats everything! Rated 5 out of 5 by CMillerNOLA from Delighted that this is Matte and Stays! I purchased this a few weeks ago in Neutral Medium after reading the description of each color. I have a fair and pinkish complexion, but with green and blue veins (so that's why I went with Neutral). The color is perfect. I do wear it over the Bye Bye Red Correcting Cream on my nose. It blends perfectly. I was a little wary about the staying power and it being truly matte based on some reviews. I live in New Orleans, LA which is a hot muggy city 95% of the time. I am pleased to say that it is truly matte. I have worn this all day, even on long walks, and it stays on. That being said, don't rub your face if it gets a bit shiny over the course of the day, just apply a light dab of Bye Bye Pores Powder to absorb. I will definitely continue to reorder this and discontinue use of my full coverage makeup from a different brand. Rated 3 out of 5 by BetsyH35 from Good product I usually use the regular CC cream, but lately have noticed my T-zone has become more oily so I decided to try this instead, especially with summer coming. I don't feel like the application is as smooth or the coverage as full as the regular. On a positive note, it is definitely matte stays in place well all day. Overall, I think next time I will switch back to what I was previously using. Hello, I recently purchased the CC orginal in Medium. I want to get the CC Matte, should I get it in Medium or a darker shade. I have warm undertone. Thank you! I have 59 year old dry skin. If I used the oil free foundation, would it cover my large nose pores &amp; would it cake up in my lines? Should I use another kind, even though I sweat a lot? 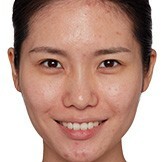 I like the coverage of the matte foundation but my skin is still very oily on my forehead and nose after 4 hrs. I apply the foundation with a brush and tried using a little more but it nestles in my lines. Any suggestions? HI! I have a mix of oil skin in some areas of my face but i also have dry areas! Will this product be good for be or will it make my skin look dry since its matte? Hi its been over 12 months since I last bought mine and stated on the tube 12 mo after opening I have to toss it out. But I've yet to finish it entirely :( so I'm skeptical to wear it. Is it still safe for me to wear it? Hi there, thanks for your question! While CC+ Cream Oil-Free Matte is not Vegan, all IT Cosmetics products are cruelty-free! You can find a list of ingredients on every product page on our site! We hope this helps! XOXO Tina. Be the first to know! Enter your email address and we’ll send you a one-time alert when your product is available. Thank you for shopping IT!